Stephen Haw is an award-winning real estate Broker who has sold over $1 Billion worth of real estate on behalf of his sellers and buyers. A top producing REALTOR® for over 30 years, he is a Quadruple Platinum agent at Keller Williams. 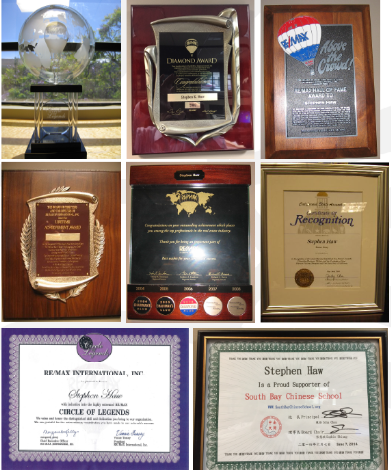 Prior to joining Keller Williams in August 2017, Stephen has received every award RE/MAX International has to offer, including the RE/MAX Hall of Fame, Lifetime Achievement Award, and the RE/MAX International Circle of Legends Award. Stephen has also been awarded membership in the RE/MAX Platinum Club, Chairman’s Club and RE/MAX’s highest individual honor, the Diamond Award. His team of skilled professionals is consistently named #1 Sales Team at RE/MAX Estate Properties and Keller Williams Palos Verdes Realty. Stephen holds a Masters Degree in Marketing from Oregon State University. For more than 30 years, Stephen has been breaking new ground and exceeding the expectations of his clients. His unyielding determination to make things happen for his clients creates spectacular results. From his sophisticated marketing techniques to his keen Knowledge of the financial aspects of a transaction, he approaches every client’s move with the single intention of taking success to the next level. 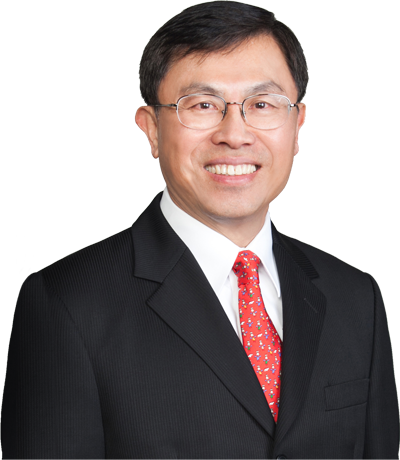 A South Bay resident, he is an expert in South Bay real estate and, fluent in English as well as Chinese and Taiwanese dialects, he is also exceptionally skilled in international real estate sales. Stephen was honored by the Chinese American Real Estate Professionals Association of Southern California for his exceptional production. Have Bought or Sold Over $1 Billion Worth of Real Estate On Behalf Of My Clients. Received the Triple Platinum Medal from Keller Williams in 2017. Awarded the Certified Luxury Home Marketing Specialist Designation with Recognition to the Million Dollar Guild. 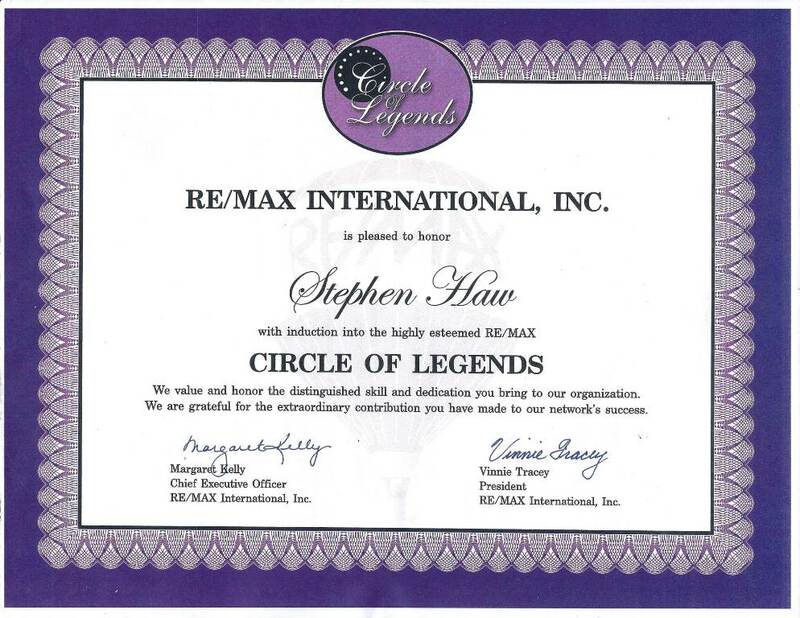 Received RE/MAX “Circle of Legends” Award in 2009, the first ever among 650 Agents in RE/MAX Estate Properties since the start of the company in the 1980’s. Received RE/MAX “Lifetime Achievement” Award and “International Hall of Fame” Award. Awarded #1 Sales Team in RE/MAX Estate Properties in 2004, 2005, 2006, 2007, 2008, 2011, 2012, 2013, 2014, 2015 & 2016. Awarded RE/MAX Highest Individual Honor, Diamond Club or Chairman’s Club every year from 2003 through 2016. Awarded “Top Ten” Real Estate Team in RE/MAX California and Hawaii year after year. 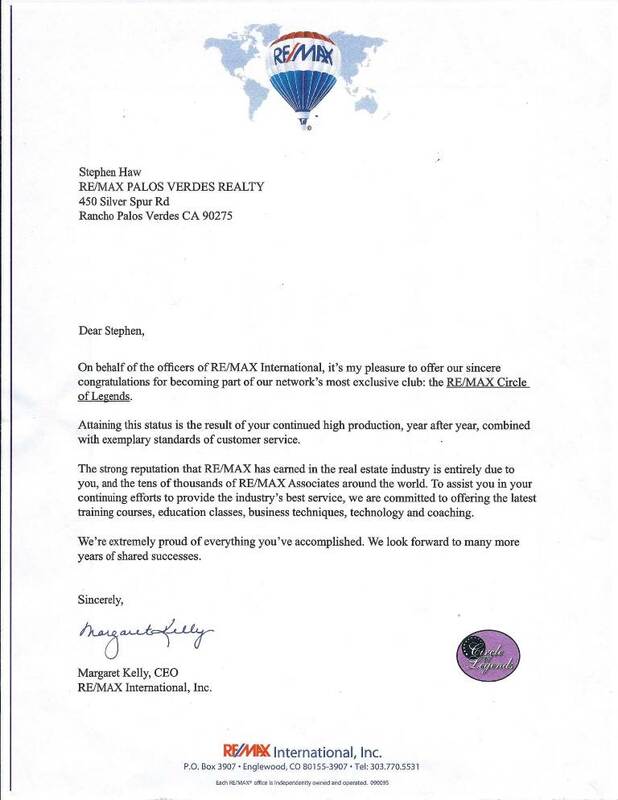 Awarded RE/MAX Highest Individual Honor, Platinum Club in 2001-2002. Fred Sands Palos Verdes Realty #1 Top Producer in 1997-2000. Featured in the cover story of Real Estate “Big Deals” on the front page of South Bay, largest newspaper Daily Breeze on July 26, 1998. Awarded the “Highest Value of Total Residential Transactions” in 1995 and 1997 by the Chinese American Real Estate Professionals Association of Southern California. Awarded “Top 5” RE/MAX Agents in California in 1992 and 1993. Awarded “Top 10” RE/MAX Agents in the United States in 1993. M.B.A. Degree in Marketing from Oregon State University. Member of Institute for Luxury Home Marketing and its Million Dollar Guild. Board of Director of Premier Bank of Palos Verdes. Member of Palos Verdes Peninsula, California and National Association of Realtors. Member of Rolling Hills Country Club, US Golf Association, US Tennis Association.